The Flower Mound Town Council has taken a cautious approach when it comes to setting up a tax increment reinvestment zone (TIRZ) district to support the Lakeside Village development. But now it’s starting to be crunch time. During a work session Thursday the council and town staff discussed several aspects of a possible TIRZ district, including the fine arts center that could go into Lakeside Village. 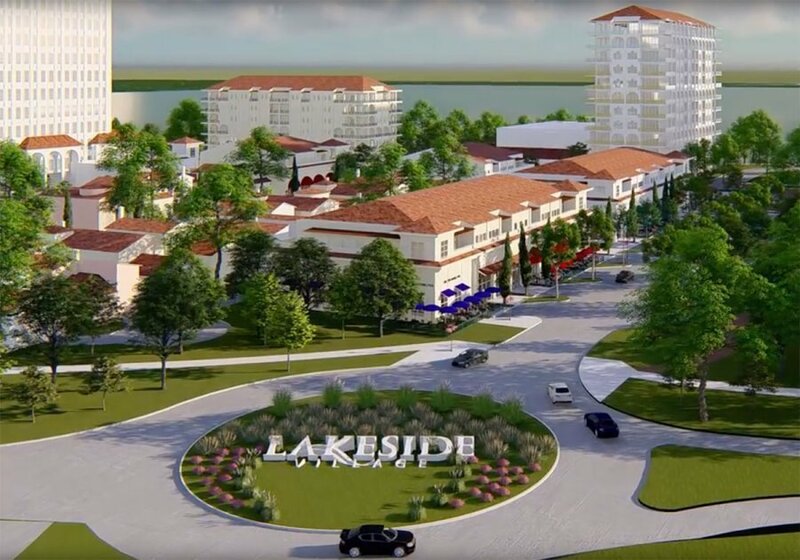 Realty Capital, the Lakeside Village’s developer, had requested a TIRZ district to help pay for the project quicker. The 35-acre mixed-use project will be located just south of the existing Lakeside DFW development. Developers had expressed interest in having a fine arts center in the project, and council members have supported it as well. “We’re reinvesting tax money into the district, so there needs to be something that benefits the rest of the town,” said Councilman Kevin Bryant. But per a developers agreement the town must issue a letter of commitment for the center by April 17. Town Manager Jimmy Stathatos said there is still time to decide on the size for a possible center but said there isn’t enough time for a consultant to provide a full analysis. Mayor Steve Dixon asked if the town can amend the agreement to extend the deadline. Friday, Stathatos said developers have expressed interest in working with the town on an extension. Jimmy Archie, managing director of Realty Capital, said after the meeting that the TIRZ is an opportunity for the town to get a center without having to pay for it. While the council must still decide if it wants to support the center, it also has to determine its stance on the TIRZ district. A TIRZ district would use contributions from the town and Tarrant County to expedite the construction of infrastructure, and money generated from the development would reimburse the developer and add money to the TIRZ fund for other town projects. Developers said approximately $33.6 million in infrastructure and amenities are needed, and Realty Capital is asking for the TIRZ to fund $20.5 million of it. Among the expenses are being requested by the TIRZ is $12.7 million in infrastructure and $5.5 million in a parking garage. Amenities include a waterfall, a fountain and public art. The developer is proposing to pay for an additional parking garage, an amphitheater, a boardwalk and more. Thursday, Economic Development Director Andrea Roy provided updated revenue projections with various scenarios. She said at complete build-out total revenue generated between the town and Tarrant County, if it participates in the TIRZ is $139.3 million between 2019-2038. Partial build-out revenue generated is projected to be $107.7 million. Even less build-out would generate $71.4 million. No TIRZ would lead to revenue of $45.4 million. There are also various contribution levels for the town and the county. The town plans to reach out to Tarrant County to gauge its interest. Councilman Sandeep Sharma continued to show his concern about creating a TIRZ, asking what would happen in another economic downturn. “My concerns are about putting town’s money in just one bucket, i.e., committed to Lakeside, and not being able to use it in any other part of town when needed, such as infrastructure projects, but having to take on debt for other needs,” Sharma said. Other council members said the TIRZ makes sense.